Well, we finally got a break in the dry weather. We've had two rain storms in the past week, and we were sorely in need. We actually did a get the outer edge of Hurricane Hermine that brought us some of this rain, and I am very thankful. So now things in my garden seem like they are happy again instead of pouting and wilted. 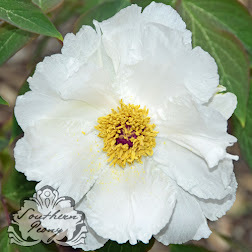 Now that summer is starting to fade and we are starting to get some cooler temperatures, I took some time this Labor Day to plant out the Red Tree Peony Seeds from SP Reader in GA I received a couple weeks ago. If your garden has started to cool down and moisten up a bit, then now would be a good time to plant peony seeds in your area too. 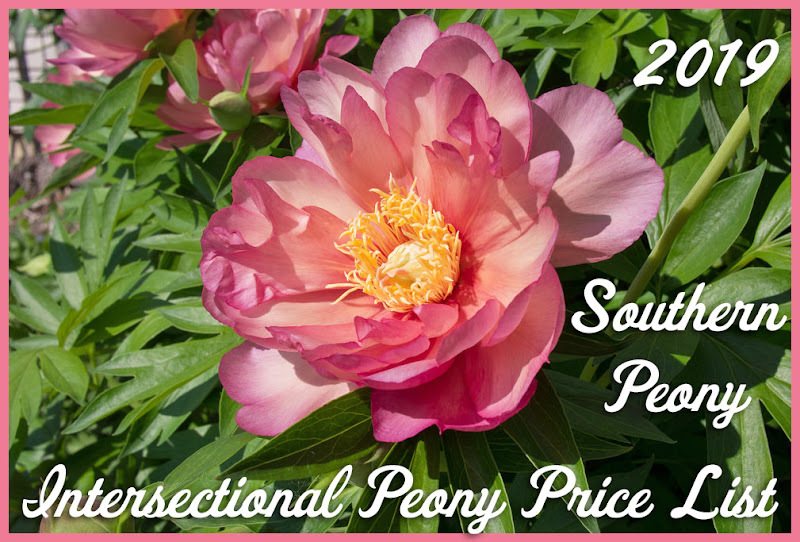 If you don't have any peony seeds, and you'd like to plant some, you should definitely check out the APS Seed Sale. It is only for APS Members, but if you are this interested in peonies and you're not an APS Member yet, you should definitely sign up! I planted these red tree peony seeds in my fledgling tree peony garden. There is still some space here to plant in some nice soil. So I decided to go ahead and plant out these seeds there. To plant the seeds I just got some garden gloves on to prevent dirt from getting under my finger nails. Since I didn't want to cultivate the entire area, I just made some seed holes for the peonies using my thumb. The soil wasn't too hard to work with, and I was able to make a nice divot in the ground for each seed. Then I placed one seed in each hole, covered them with soil, and tamped it down. I can't wait to see what these seedlings may bring. It will take years to know if any of these seedlings will be garden worthy plants, but hopefully it will be worth the wait! That's awesome. You'll have to send me the pics when they bloom, I'd love to see what you get!